Explore without worry. We’ll have you covered. Memories made with friends and family while adventuring in a motorhome last a lifetime. From s’mores by the campfire to card games around the picnic table, motorhomes are the perfect vehicles for those who like to find adventure. Protect your investment and keep the good times rolling with a flexible policy from OKFB. Liability coverage helps protect you financially in the event of a liability claim or lawsuit due to bodily injury or property damage caused by your covered motorhome. Medical Payments auto insurance pays for certain expenses related to injury or death that you or others sustain in your motorhome, regardless of fault. Comprehensive coverage will pay for damage to your motorhome by other incidents not related to a collision. Incidents that are covered include but are not limited to: hail, theft, fire and vandalism. Collision insurance covers damages to your motorhome caused by a collision with another vehicle or object. 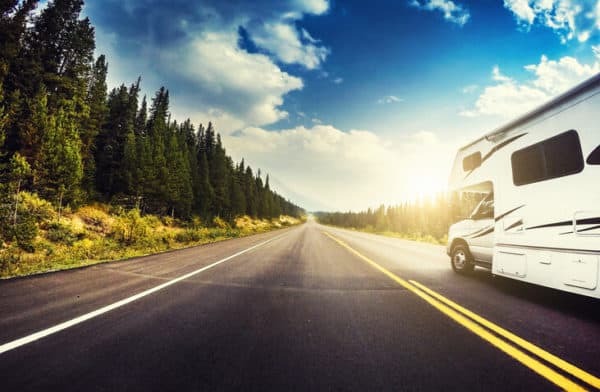 Motorhome Contents insurance provides a limited amount of coverage for damage to your personal property contained in the motorhome in the event it becomes damaged or destroyed. We offer many ways to conveniently pay your motorhome insurance premiums. Choose from a full payment, quarterly payments or a monthly automatic draft from your bank account. Check with an OKFB agent to see which option may be best for you.